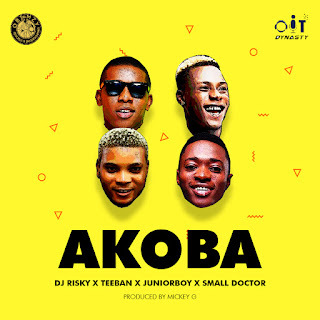 AKOBA is a smashing hit by Dj Risky employing the service of the street Kings Juniorboy and Smalldoctor and the most exciting prospect in the industry TeeBan. Teeban delivered a lovely hook and chorus followed by heavy verses from Juniorboy and Smalldoctor. Listen and enjoy.